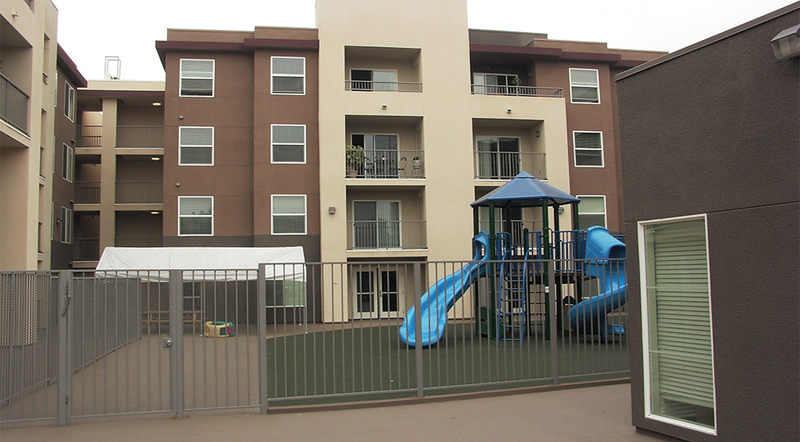 Flores del Valle is a 146-unit affordable development with large family apartments. on a 2.2-ac. site. Flores del Valle replaced a blighted, vacant warehouse and is helping to revitalize a historic neighborhood northeast of downtown Los Angeles. It is part of a large area master development that includes workforce apartments, market- rate condominiums and lofts, and retail shops. 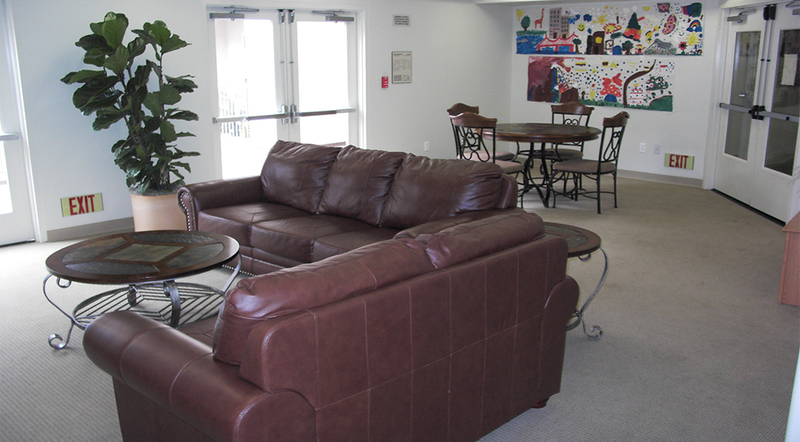 A childcare center is available for tenants and area residents. 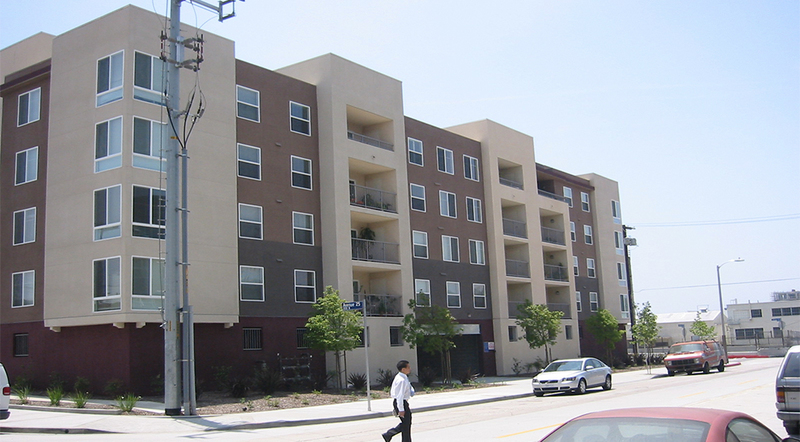 The community is located next to the new Avenue 26 Gold Line Station northeast of downtown Los Angeles. 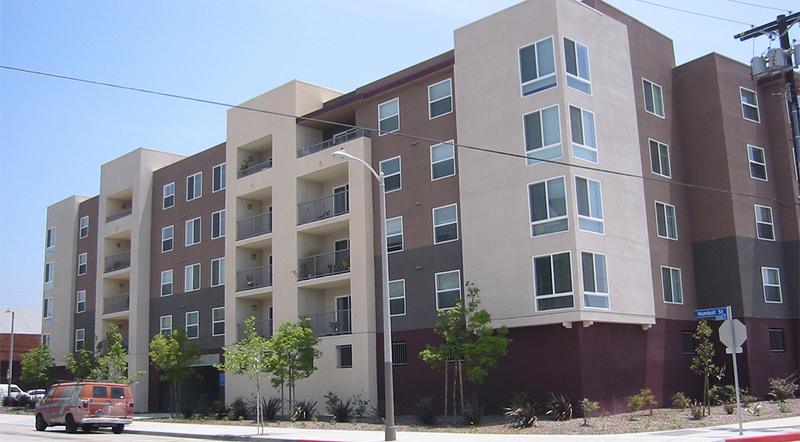 The Golden State and Pasadena Freeways, along with Dodger Stadium and other amenities, make the site a convenient location. 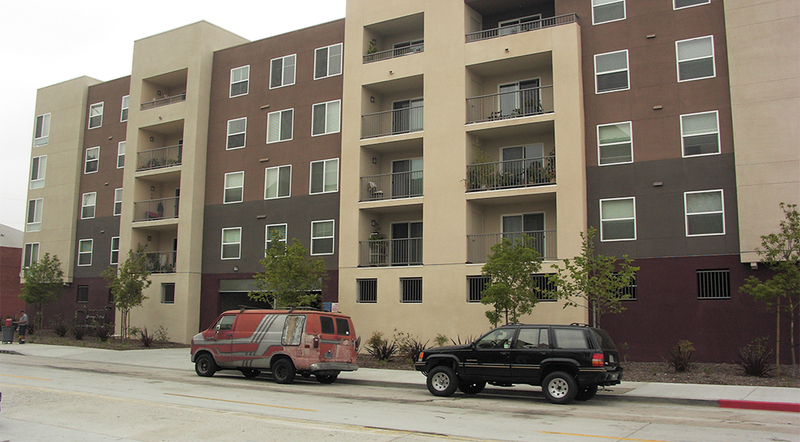 Construction is a Type V wooden structure over a Type I concrete podium for secure subterranean parking. 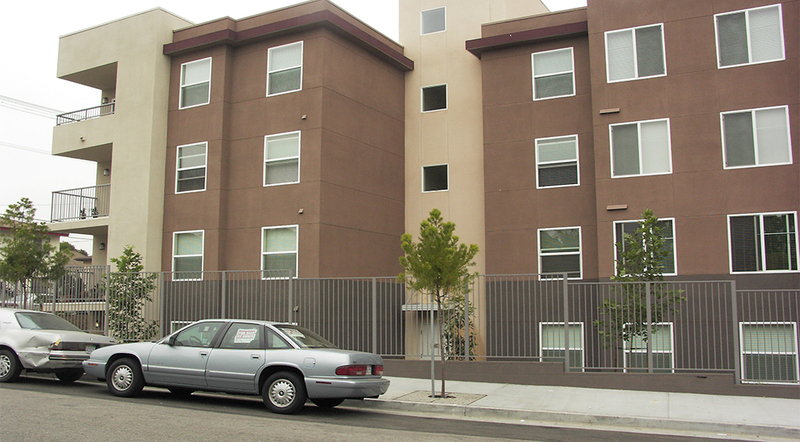 Flores del Valle is funded by 9% Low-income Housing Tax Credit equity. Occupancy began in 2007.